This post is brought to you by the Laundress. 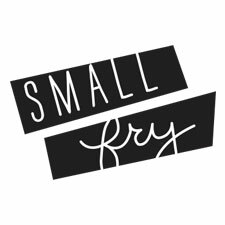 Get 20% off 3 or more products with “SMALLFRY20” at check-out! After we did a whole week devoted to Spring Cleaning we heard from lots of you that you hadn’t quite yet found your cleaning routine as far as products go. Usually whatever grabbed your interest at the cleaning aisle is what came home with you. We have totally been in that boat and it has only been since Small Fry times that we’ve all settled on our own favorite products. We’ve got another gorgeous product idea for you today and we think you’ll drool over it like we have been! 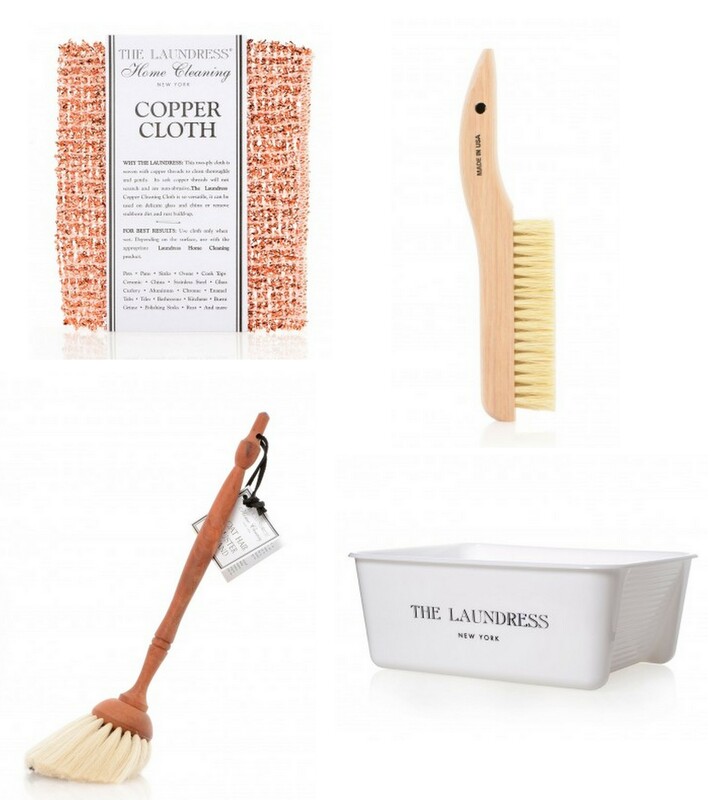 Say hello to the Laundress! We tried out all these pretty products for the last few weeks and wanted to share our thoughts. First thought of course is how gorgeous they were! 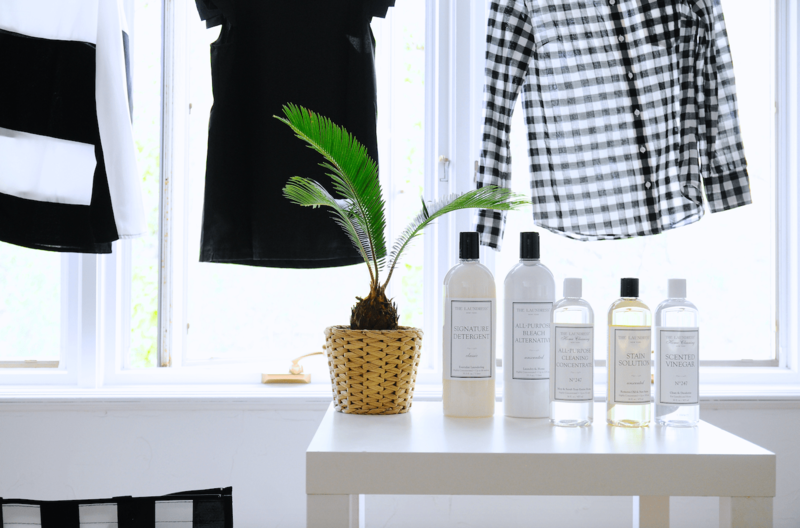 Laundress products look so nice sitting up on the shelf and the packaging and branding feels totally luxurious. Cleaning products (like toys) has fallen in the realm of being loud and being noticed on that long cleaning aisle. We love this simple beautiful packaging! Actually using the products? Another home run! The stain remover system is super cool. Using that pretty wood brush, you can rub it right into your spots to pre-treat, mix it together with their dry bleach detergent to create a nice thick paste, and add it right to your detergent in the wash for a heavy duty load. We tried several other cleaning products and loved the smell, effectiveness and clean use. Everything dispenses evenly and easily which we can’t say for all the other detergents we’ve tried (drip and spills galore!) The scents are so fresh, even down to their Scented Vinegar which is such an awesome addition, vinegar cleans just about anything but the Laundress’ scent addition makes it hard to tell you’re even using vinegar which is welcome progress. These are all non-toxic and biodegradable as well as plant derived and free of Allergens, SLS, Petroleum, Phthalates, Phosphates, Parabens and Chlorine Bleach. So you can happily add it to your roster without worry! If you check out their site you’ll be blown away like we were at just how many products they have! Virtually everything you need and some beautiful accessories, too! We love some of these old fashioned extras. Wood handle, thick goat bristles, wash basins and more. We’ll take it all, please. If you’re wanting to give Laundress a whirl don’t forget to use the 20% off coupon “SMALLFRY20” on their site! They’re also hosting a 30 Day Home Cleaning Challenge where you can share your successes and challenges with the #TL30DayClean hash tag! What is your criteria for finding favorite products for your house? All-natural, trusted brand? Pretty packaging, price?